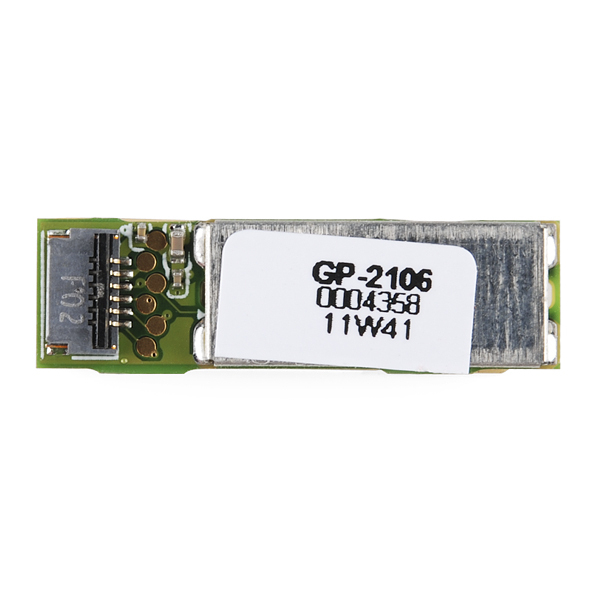 The GP-2106 is a small form factor GPS receiver with built-in antenna. Powered by the SiRF Star IV, the module can acquire satellites as low as -163dBm. It also has a hibernate mode which can go as low as 30uA while maintaining a hot start. Note: This GPS Receiver does NOT include a connecting ribbon cable. This cable will need to be purchased separately. ANy replacement advice for an as small unit (builtin antenna) with 1PPS output?? Does anyone know how to update the alamac or ephermis on these things? I've been having really, really, long cold start times. I have the SiRFDemo software and allows for uploads of said data (or at least the program can do it, whether the chip will accept it is a different story). Usually phones with gps get a "QuickFix" update, they call it. I wanna see this with the quarter! How about getting some of these modules: GPS RADIONOVA SS3? 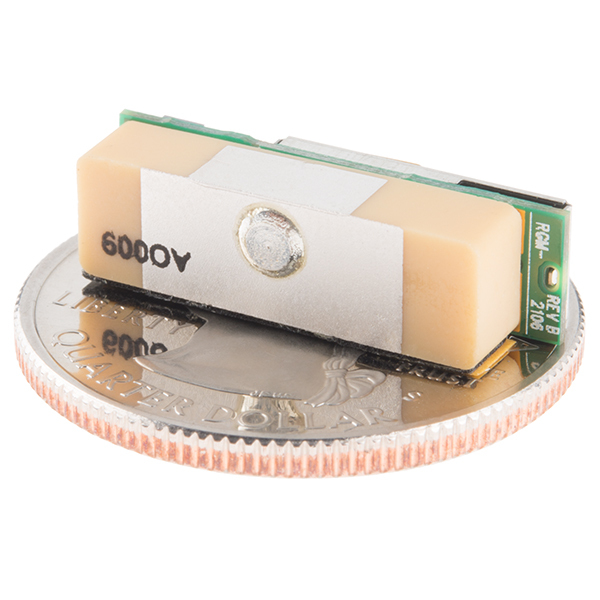 GPS RADIONOVA SS3 is a very small 18.4x9x2.3mm3 single package GPS receiver module suitable for SMT mounting. It operates on a single 3.6V positive bias supply with low power consumption and available low power modes for further power savings. SS3 is supported by SiRFâs GPS software suite and uses a UART/SPI host processor interface. They seem not as good as GP-2106 perhaps, but can't beat the price at $3! I wonder who they would sell to and in what quantities. Surely, us mere mortals can't buy them, but maybe sparkfun could? does it have an antenna? sounds like it's just the IC, not the whole GPS module. If it doesn't have an antenna and is just the IC part of it, yeah, it's gonna be cheap and the two really aren't directly comparable. Well look at your Venus GPS chip. Just finished assembling one for a cat tracker and went outside for a test drive (without a cat). All the leds were flashing and i was hopeful. Dont know what went wrong, got the config file on the sd card plus many log text files. two contains data but only with incompressible caracters like asian ones. The net weight of GP-2106 is 3.01g. If you work on that cat collar post pix or links! I'd like to use this for animal monitoring as well but on sea otter flippers around the Monterey bay. We're working with Fish and Wildlife Services to make solar powered Zigbee flipper tags and this guy would be gold if he worked out. I'm looking to use this in a small high-altitude balloon project and I'm wondering if the the velocity/altitude restrictions are triggered via AND or OR. If this module is an OR type on the restriction does anybody know of another small module that would work for me? Can this module output physical orientation data like tilt, roll or heading? What is the interfacing options for this ? Is it compatible with UNO or MEGA ? 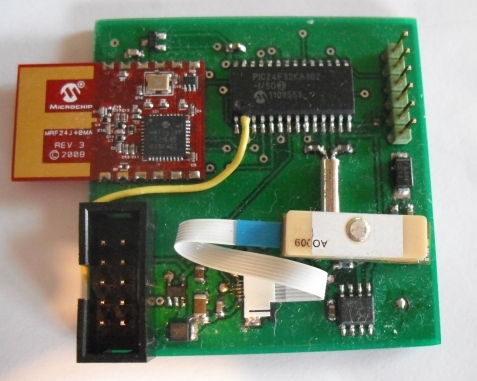 This module uses a 1.8V serial UART interface. If you want to use this board with UNO or Mega, you will need to level shift the serial lines using the evaluation board. Does this come with connector cable? This is the only GPS module I have ever used. Yes, it's very small. That aspect I like very much. I couldn't manage to get any pseudorange data from it and I couldn't manage to preload the module with an approximate position,ephemeris and almanac data. I haven't really figured out how to use warm and hot starts at present but can send it into hibernate mode using around 150ÂµW for the gps module and the rest of my board (buck, mpu, etc). 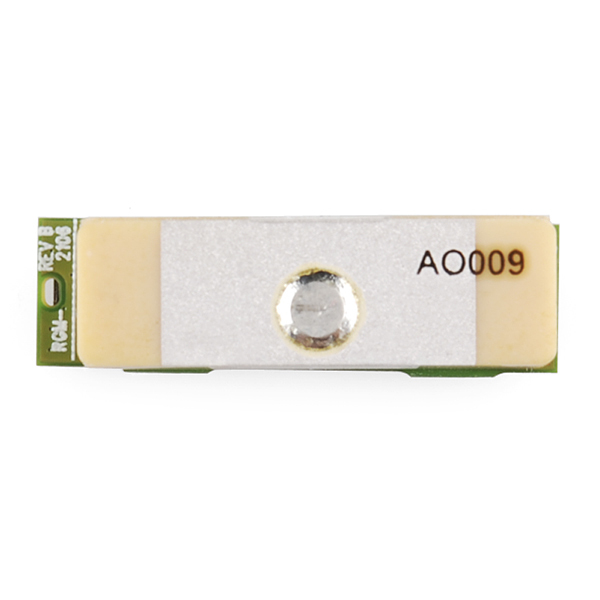 I would recommend this gps module to others. Remember though that soldering a connector onto a board for this module is fairly delicate. Can someone who has this and used it please give some feedback as to how well it works. however not impressive indoor conditions though it fixes around 1 to 3 minutes. Question: Is there any way to remove on/off button/interface. Right now, to start module I have to press that button on GP-2106. Is there any work around ? THANKS. Answer: Customers should use its own GPIO to control the On/Off. Then they don't need the button. The code should be the same as pretty much any GPS module. Check our tutorials for code on how to read in GPS data. It's not going to differ much at all between various GPS modules. ON/OFF Input pulse is required to start the system, and switch the operation mode to full-power mode or Hibernate mode. But they don't specify the pulse duration, on-off-on, or off-on-off and the duration of each state to active ON, OFF, and STANDBY (Hibernate) function. Can anyone contact the engineers and find out the details? Ah, I get it. The datasheet doesn't specify what it wants? our breakout just has a simple SMD button. you could probably test different methods of driving it high, delay, then low and see what works if it's not directly specified in the datasheet. my guess is that it's just an on-off and off-on when you press it. it waits for a signal, changes the state, and then waits for another signal to turn off again. 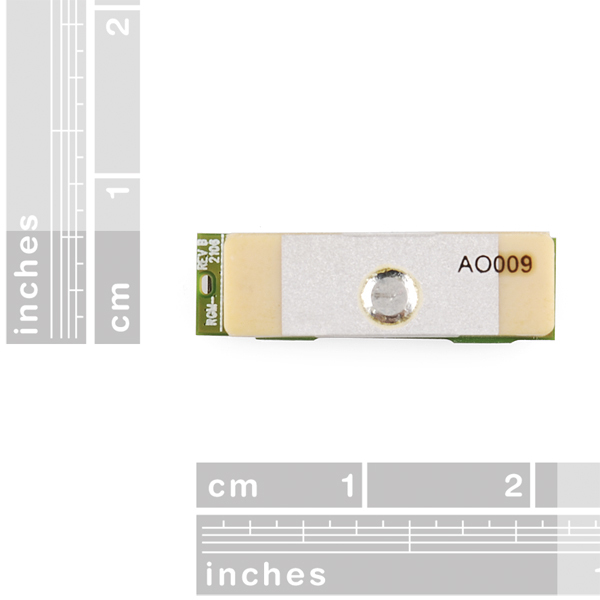 Has anyone successfully linked one of these to a micro SD logger like OpenLog and a battery? This is perfect for my robot project! I am new to prototyping, and deciding whether to use an XBee or GPS in my design. If I go XBee, I need two of them, one to act as a transmitter and one as a receiver. If I use this, or any GPS unit, what would be my receiver? Thank you. About GPS, the GPS unit is the receiver, and satellites are the transmitter. GPS unit only receives the signal from satellites (and does no transmitting at all) and calculates current position from them. If you need to access the location of your GPS unit from distance, you need some kind of communication. It can be done using two XBee units, one of them receives location information from connected GPS unit, and sends it to another XBee unit over the air. Will there be a breakout for this gps? How do you get 1.8v from Arduino? 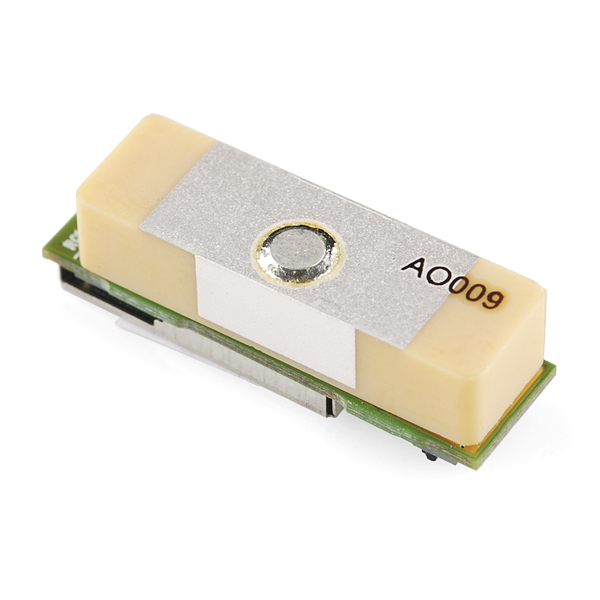 I would like to purchase this module and connect my own GPS antenna and Low Noise Amplifier to the receiver. Are there any schematics available so that I can bypass the built-in antenna and LNA? Why doesn't Sparkfun have a SiRF IV receiver without the built-in antenna? PPS (TIMEMARK) This pin provides one pulse-per-second output from the board, which is synchronized to GPS time. Need firmware supporting. If don't used, can open. Note: At present PPS function has not opened. It's not clear to me if this means that the PPS output isn't presently supported by the firmware, or if it means the PPS isn't enabled when the device is powered on, and needs to be enabled. Anyone have the module and can confirm actual status? I have one running right now and the PPS is working fine and dandy. I think I got it from stock a few weeks ago. Our GP-2106 will have 1PPS signal while GPS get fixed. So looks good, and looks like this module should be a good choice for NTP time sync. Any specs on the weight? Looks like this could be great for those blimp or quad-copter projects where each gram makes a difference. any specs on the connector? looks like a FFC ribbon but what is the pitch? It appears that the connector is a HiRose FH34SRJ-6S-0.5SH(50) which is a "FPC" connector. See data sheet section 1.5 and 1.7. A breakout board would require a "FPC" cable or require a replacement of the connector which might be possible with steady hands. Does anyone know what kind of software load it has? It normally is output to the port when it starts up. Some versions allow raw measurement output which can be very helpful for advanced projects that want to integrate GPS with other sensors. The datasheet does not say anything about hardware integration... This kind of modules often have requirements on placement near ground planes or switching logic. For example, the Fastrax UC-430 is also tiny but needs much broader board to work. Another module I know of, the OriginGps ORG14xx, is only 15x15mm and still needs 6mm clearance around and 1.6mm below. Beware of small GPS modules.. their antennas still need ground planes. When a breakout board is created, will it have voltage regulation/logic level translation? Excellent work spark fun. I would love to track corp laptops, but there is just no space inside a modern laptop for this kind of stuff. This should help go a long way to finding that solution. It works as advertised and was easy to design in and use. One thing I wish it had was a 1 mm pin connector instead of the FFC connector. I had to remove the FFC connector and add the pin connector by hand to make it work on the small board I made. The other thing is that the power control is poorly documented. BTW, If you are a Premium member of Geocaching, check out GC3QQMM which uses this module. My current project is a car clock that is always accurate and automatically detects the current time zone and adjusts to it (well, at least for North America).